This plating solution performs the same function as Gold Strike Brush and Tank but has twice the gold content. It only plates slightly faster but has twice the coverage of Gold Strike Brush and Tank. 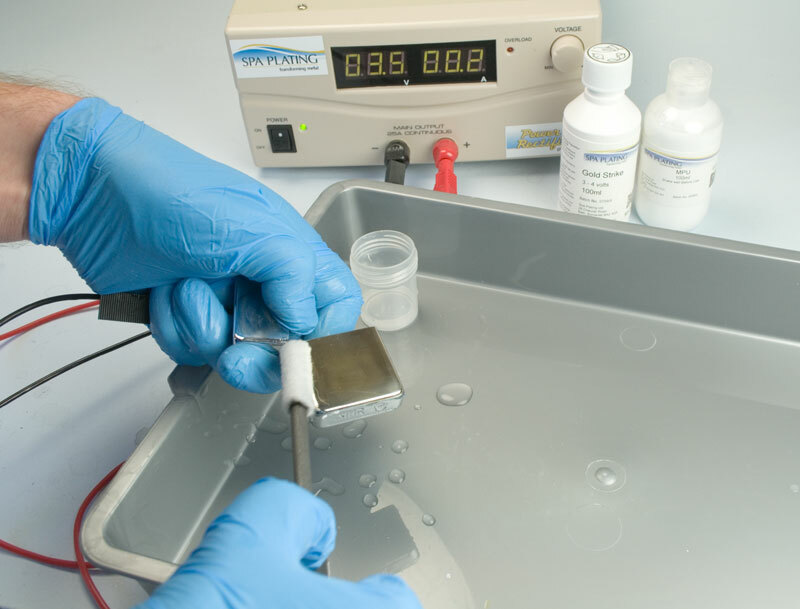 It plates very adhesive layers on to difficult-to plate metals such as chrome, surgical steel and dental alloys. 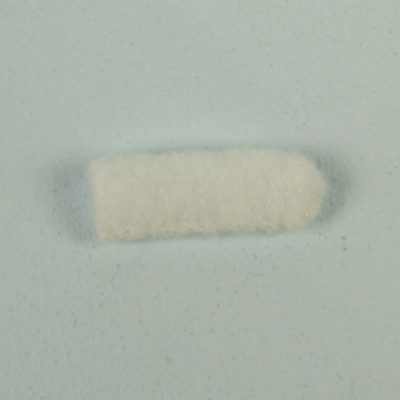 Standard swabs can be used with this solution, however for longer life we recommend using S-Type Swabs which can be purchased by clicking on the link in the ‘Related Products’ section below this panel. 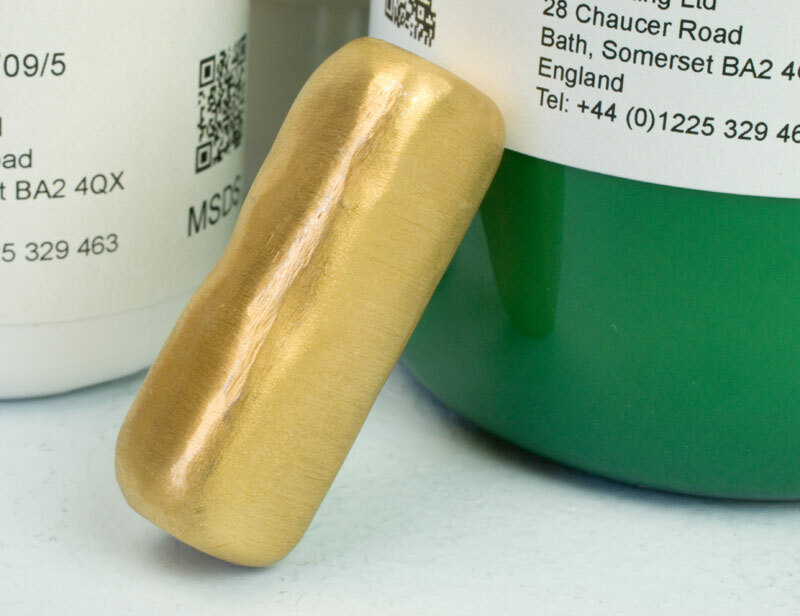 It is primarily used as an adhesive undercoat for other metals such as gold, silver, palladium and platinum. Gold Strike should not be plated over 0.1 micron. Our Gold Strike Xtra is very adhesive. 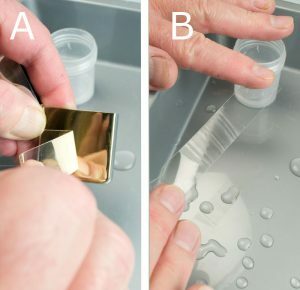 To demonstrate this here is an example of the sellotape test – in section A of the picture, the tape is stuck to the surface of our freshly plated Gold Strike Xtra layer and then in section B of the picture, the sellotape is removed. The gold layer stays on the surface of the work with no traces of gold on the sellotape. 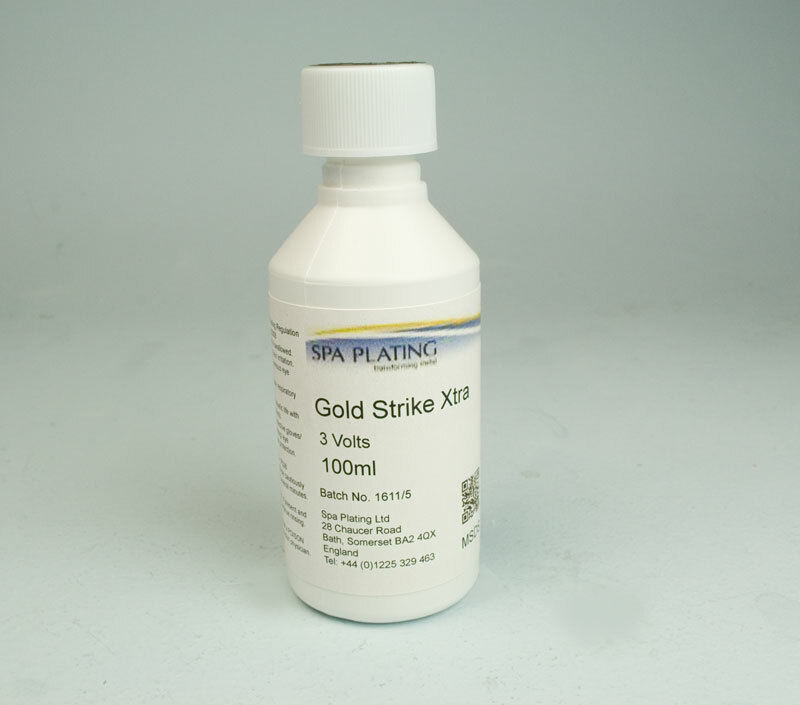 Other difficult to plate metals such as tungsten can also be plated with our Gold Strike Xtra. 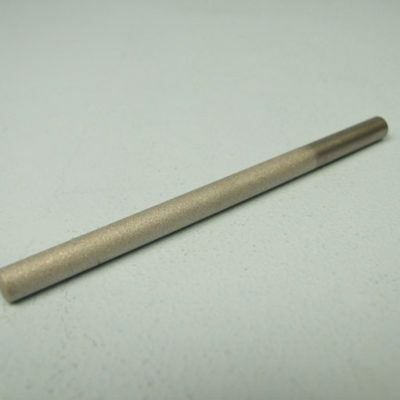 When plating in recesses, we recommend using the using the Plating Pen (8 – 10 volts, Fibre Nib). Plating rate and throwing power increase with temperature.